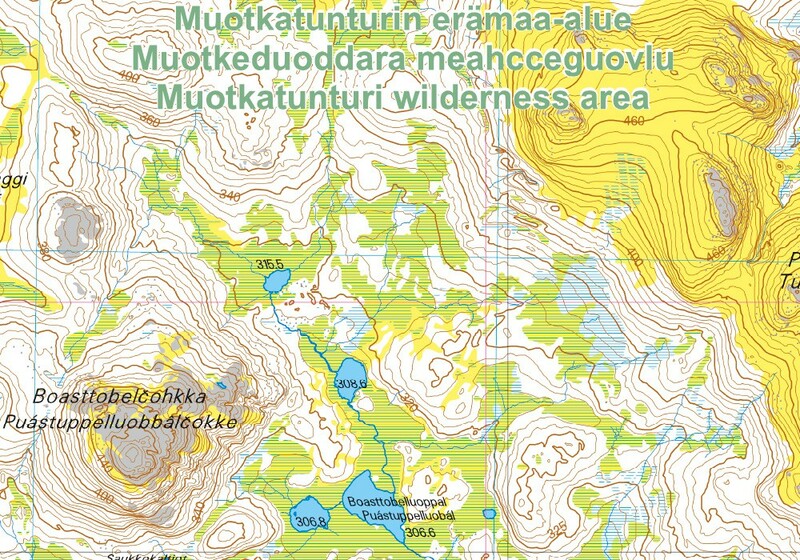 The outdoor map of Muotkatunturit covers the Muotkatunturi Wilderness Area and its vicinity. 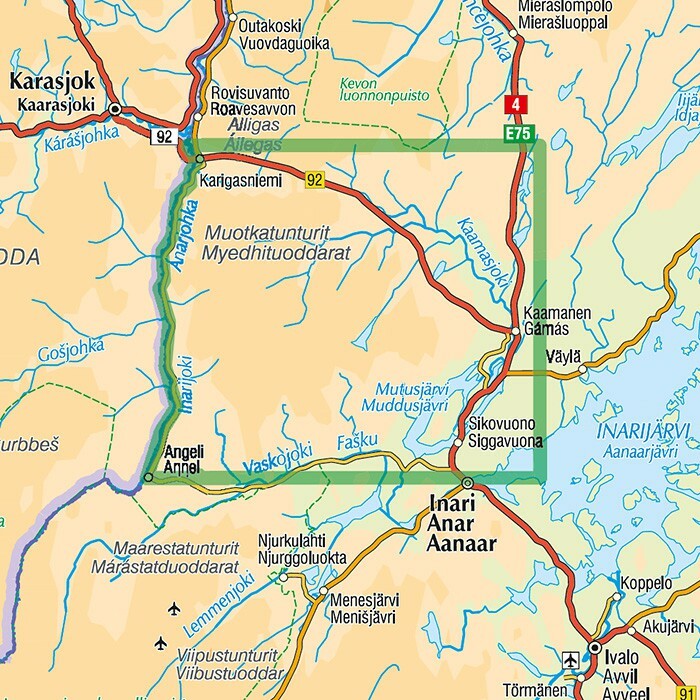 The map stretches to the villages of Karigasniemi, Angeli, Kaamanen and Inari. The scale of the map is 1:50,000 (1 cm on the map = 500 m on the ground). 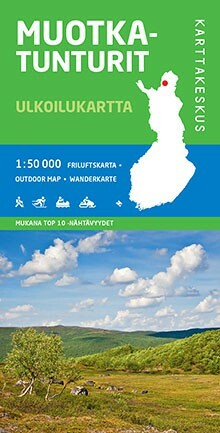 The large double-sided map covers the hiking trails of the Muotkatunturi area accurately with a single sheet. 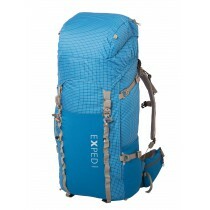 The map is particularly useful for hiking and cross-country skiing. Also snowmobile routes have been marked. The map is based on a topographic map of the National Land Survey of Finland and has plenty of extra information for hikers and travellers, such as various trails and their lengths, wilderness huts, lean-to shelters, eating places, accommodations and sights. On the side of the map you will find coordinates for all the wilderness huts managed by Metsähallitus to help locate them with a GPS device. 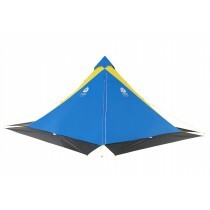 In other words, the map is perfect for travellers who use GPS. The coordinate system used on the map is the EUREF-FIN (WGS84) system, but also the earlier YKJ (Uniform Coordinate System) is shown.